The author and essayist reflects on a terminal cancer diagnosis, and all of the conflicted feelings that come with writing about it. 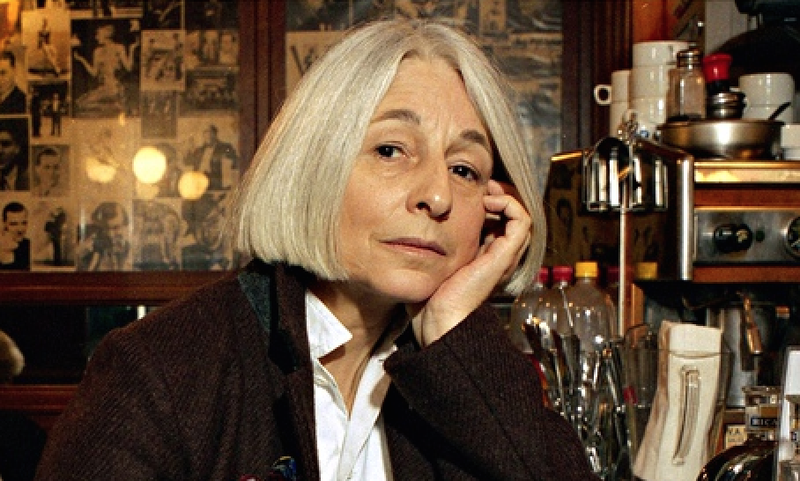 We’ve been following writer Jenny Diski for many years at the London Review of Books, and more recently on her WordPress.com blog. Just this past weekend Diski was featured in a profile by Giles Harvey for the New York Times Magazine, about a subject she revealed in her own 2014 essays: she has inoperable lung cancer. I try but I can’t think of a single aspect of having cancer, start to finish, that isn’t an act in a pantomime in which my participation is guaranteed however I believe I choose to play each scene. I have been given this role. (There, see? Instant victim.) I have no choice but to perform and to be embarrassed to death. When I was fifty I met The Poet, who is the same age as me. We had each left it until the last minute to find the relationship of our lives. Before that neither of us thought of ourselves as finally committed to a relationship, although we had had marriages and children. Our living happily ever after together, at such a late stage in our lives, is something we both smile at as improbable. It still surprises us, but it works. I don’t really know why. I came across something new, when we met, that both took in and transformed the youthful desire; we had the attraction but built a relationship on top of it that made the already but not quite diminished possibility at my age of looking at someone else in a room, wanting them, seeing it mirrored, and doing something about it, a voluntary surrender thereafter on my part. For more on Diski, follow her blog, and pick up her books: What I Don’t Know About Animals, Skating to Antarctica, and more. A humorous sidebar to one of her LRB essays. A window into Diski’s life, thoughts and emotions, in between the more formal essays. Keep fighting the way you are. It shows everyone that you’re strong. A wonderful post about a now must follow blog! I tremendously enjoyed this post. Most poignant and soul stirring, thanks.